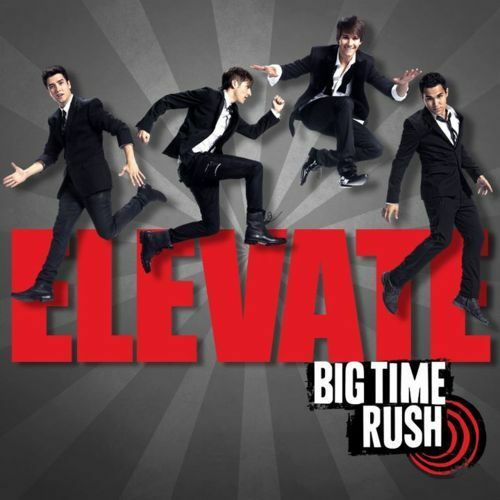 Listen to Elevate Early exclusively on Cambio.com!! Cambio.com posted and exclusive sneak peek of all the songs on BTR’s new album Elevate! Big Time Rush is set to release their new album, ‘Elevate,’ on November 21, but we’re hooking you up with a first listen of the LP, one week early. ‘Elevate’ is follow-up to the band’s 2010 debut album, ‘BTR.’ The guys worked with musical heavyweights like Ryan Tedder, Tricky, The-Dream, JR Rotem and more to get their signature sound just right on this LP, and fans won’t be disappointed. Listen to the entirety of ‘Elevate’ below, and grab your copy of the album when it’s released on iTunes on Monday, November 21. Better With U Tour Announced! will you be seeing the guys on any of these dates. Happy 21st Birthday Kendall Schmidt! Happy Birthday to Big Time Rush member, Kendall Schmidt! Music Sounds Better With U Now On iTunes!! Music Sounds Better With U hit iTunes today! Make sure to purchase it! Elevate was also available for pre-order today so make sure you pre-order it!! Music Sounds Better With U Cover & Song! Kendall Schmidt of Big Time Rush called in to “On Air with Ryan Seacrest” from the set of “Big Time Rush: The Movie” on Friday to chat about playing hackey sack with Justin Bieber, and more importantly premiere their first single “Music Sounds Better With You” from their upcoming sophomore album “Elevate” out November 21st. Recently, the members of “Big Time Rush” were photographed playing hacky-sack with globe trotting teenager, Justin Bieber, “We were in Mexico City, and we opened two shows for him. He came by the second day, and we got some hacky sack going. Listen to the full interview below, and don’t forget to pre-order “Elevate” out November 21st! Big Time Rush Annouces Their Album Title, 1st Single and a few tracks on ustream! Today I got an email from Alyssa @ CharityBuzz telling me about the new chairty event where the prize is a visit to the BTR set! Here’s what it says! Big Time Rush has been big time busy—between hackysacking with Justin Bieber in Mexico City, to receiving a gold record for their self-titled debut album, but don’t think that this foursome is too busy to do good! James, Kendall, Carlos and Logan have hit the charitybuzz auction block to give 5 BTR fans the chance to visit the set of Nickelodeon’s Big Time Rush! The lucky winner and four friends will get to tour the set in LA, where the boys just may be practicing some flip shots before getting into pop sensation mode. Afterwards, the winner will go home with the ultimate VIP package, including a signed poster, DVDs from Seasons 1 and 2, a CD, hat, binder 4 t-shirts, and an exclusive Big Time Rush mini iPod speaker! Bidding is open through Wednesday, October 19 at http://www.charitybuzz.com/catalog_items/277405, and proceeds benefit Mattel Children’s Hospital UCLA,providing state-of-the-art treatment for children in a compassionate atmosphere, as well as conduct research to improve the understanding and treatment of pediatric diseases. Charitybuzz raises funds for nonprofits around the globe through incredible online auctions giving bidders exclusive opportunities to make a difference. For images or more info, please do not hesitate to contact me at aruiz@charitybuzz.com. Thanks for your consideration! BTR heads to Vancouver to film the Big Time Movie! The boys of Big Time Rush have made their way up to Vancouver, British Columbia in Canada to film the Big Time Movie! Make sure to check out their twitters for new news, pics and info!